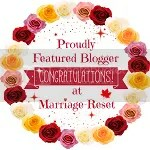 Thanks again Megs from Midnight Musings with Megs for the nomination! Post one of your favorite quotes (different quote on each day) on three consecutive days. The quote can be from your favorite book, author, or your own. There will be days where we feel like we just can’t do it anymore. Where we feel like we have been beaten down enough and just can’t take one more second of it. Remember that the day will be over soon and tomorrow is a new one! Don’t give up and remember what you are fighting for. Thank you Megs for the 3 Day Quote Challenge nomination! This is one of my favorite ones to do, because let’s be honest, who doesn’t love a good quote!? Well, that pretty much sums that up. I couldn’t have said that any better. I am who I am, and that is enough. It took me awhile to realize that I am enough. I am full of love, kindness and mistakes. I am human. Just like everyone else. If we were having coffee I would tell you all about my week and how much fun I had with spending some extra time with just my husband Matt. Our son had a baseball game on Monday and Wednesday this week. I just love watching James play baseball, or anything he loves to do. His passion for sports will run deep the rest of his life and it makes my heart happy that he found something that makes him this excited! If we were having coffee, you might mention the large bandage on my hand. When Matt and I were at the baseball game I cut my hand on glass and it sliced my thumb pretty good. It took awhile to get the bleeding under control but there was no way I was about to get stitches so I sucked it up and powered through the pain until the bleeding subsided. The real down fall was having to wait in the First Aid area for an hour and we ended up running late to James’s game on Wednesday. I had to leave right when I got there because the bleeding started back up again and needed something to wrap it up better. I guess I should of just gone with the stitches, but it’s getting better now. Just a couple chunks missing from my thumb, no big deal. I wish I had a better story to tell then just cutting it on some glass that was sitting next to my beer at the game. If we were having coffee I would tell you about how my friend Lauren took the kids to Build-a-Bear this week! They have been waiting for weeks to go with her and the time has finally come. James made a Chewbacca, Jordan made an Anna from Frozen bear and Lauren and I each made one too. I’m a huge Ellen DeGeneres fan so I of course got a Dory from the new moving coming out, Finding Dory and Lauren got an ewok from Star Wars. Overall, we had a great time being kids for the two hours we spent in the store. If we were having coffee I would tell you about the Kindness Challenge I have been participating in and how much it has opened my eyes to the world around me. It is something everyone should take time to do. Stop and smell the roses. Life is forever changing around us, don’t forget to stop and take it all in. Thanks for stopping by today. My hand is getting a little sore holding this coffee mug and I have some errands to finish up before I head into work tonight! Happy Memorial Day Weekend to all of my fellow Americans. To those who are or have served our country, thank you for all that you do! This week for the Kindness Challenge we are focusing on acting and reacting from a place of kindness. I would say this past month I have found myself acting and reacting from a place of kindness more than ever before. My demeanor has changed. My positive attitude is just radiating from me when I’m going about my day, and I think I have Stephanie to thank for a lot of that. The understanding and kindness we have shown each other the past month has helped me in more ways than she will ever know. It has taken this weight off of my shoulders and allowed me to appreciate the kindness surrounding me everyday. My worry and angst has settled and my kindness has a larger window to shine through now. This week was full of fun and spontaneous events! Michigan weather has finally hit a constant temperature with the sun shining and it was just what the doctor had ordered. We all needed some extra vitamin D so the kids and I hit the local 7-11 and got slurpees Monday AND Tuesday. Who doesn’t love some icy goodness on a hot spring day? Then spent the rest of the evening outside playing together as a family with some of our neighbors and their children. Laughter, fun, and great conversation! I just love our neighborhood and the bond we all have. I surprised Matt with Detroit Tigers tickets this week. With our crazy spring schedules we don’t get to go to many games early in the season. He has been talking about it for weeks (HA! and he thinks I have selective hearing LOL) so I got work all squared away and told him to put on his Justin Verlander shirt (a Detroit Tigers pitcher) because we were going to a game! He looked like a kid in a candy shop, he was so beyond excited and it made me feel pretty great to do something for the man who does SO much for our family. Friday I made some chocolate chip cookies and brought them to our neighbors. Everyone has been outside this past week working on their lawns and gardening. It has been a hot one too, but everyone’s yard looks superb! All of that hard work to make our little neighborhood look absolutely breath taking. So for all of their hard work I decided to present them with some of my famous cookies. Most of our neighbors are older and retired. They all remind me of different parts of my grandparents. The smiles on their faces always light up my day. They think I’m helping them, but in reality their warm conversations and sincere interest in our family mean the world to me. Each one of them gave me huge hugs and thank you’s for the cookies – THAT was an amazing feeling to experience. Kindness is all around us and it doesn’t always have to start with someone else initiating it. It starts with US. It starts with ME. I am in charge of my own happiness and giving to others or just being a listening ear doesn’t only do good for the other person’s soul, but mine as well. Learn. Something I have been doing for years, but more specific, learning how to be a great step mom and wife. The second my step kids walked into my life, everything changed. I was now apart of a team to help raise a 18 month old and a 2 year old. I had to learn to change diapers. I had to learn to put my foot down and say no to the kids. I had to learn that I had to EARN respect from the kids and Matt’s ex wife, it wasn’t just going to happen over night. I had to learn how to take care of spiral curly hair, because Jordan has A LOT of it. I had to learn how to fix imaginary boo-boo’s with a glitter pink wand. I had to learn how to play little kid games and use my imagination. I had to learn how to teach a kid how to blow their nose and tie their shoes. I had to learn how to co-parent with a woman I knew hated my guts. I had to learn to take the high road, and that really killed my pride at first. I learned that taking the high road didn’t make me weak, it made me stronger. I was able to learn how to co-parent without lashing out. I had to re-learn how to basically live my life. I had to learn how to be a parent in a short amount of time and play catch up on the things I missed along the way. Learning all of these things all at once was very overwhelming. I had ONE shot to get this right. I couldn’t let my future husband down and I couldn’t let James and Jordan down. I spent months reading book after book about co-parenting, blended families and step parenting. I wanted to have all the tools at my finger tips because my family deserved the best. Just because I didn’t KNOW how to do all of these things didn’t mean I couldn’t LEARN them. I’m a very smart woman and I knew if I wanted to learn this, I would. I know I’m not perfect and I make mistakes, but I learn from them. I knew I was going to step on toes, not on purpose, but I was learning. I was going to cry a lot of nights, but I was learning on how to handle this new lifestyle. The step mom lifestyle of all the work and no reward. I learned that the reward is in the love I receive, in the smiles on the kid’s faces when I pick them up from school and in the way Matt looks at me every morning when we wake up. Out of everything I have learned, I learned that THIS is exactly where I want to be in my life. Happy and in love with my amazing little family, taking everything one day at a time and realizing that we are ALL still learning, and that’s okay. This past Saturday was one of my girlfriend’s 30th birthday. She has made it pretty clear she did NOT want to make it a 30th birthday party, so I came up with it being her 2nd Annual 29th Birthday Extravaganza! I don’t understand why she’s so worried about turning 30, but it’s her birthday so whatever she wants, the rest of us were all for it. The planning for this birthday party has been quite the headache. There was suppose to be a party bus. My husband and I weren’t going to go on the party bus, but we said we would meet up with them wherever they were at. I guess a lot of people felt the same way and they cancelled the entire party bus all together. I’m actually really glad they did because it was starting to become this big deal. Earlier this week my girlfriend Cass and I went shopping for dresses for her party. I rarely ever go out, so when I do, I kinda want to go ALL out. Why not right? You only live once. We picked out two black dresses and called it a day. My other girlfriend, Lauren, did my make up and I must say, I LOVE having my make up done. I can put together an every day make up look, but Lo really pulls out all the stops when it comes to a night look and did an amazing job! We started our night at dinner in a busy downtown local city. I had the best lump crab cake and espresso martini! After dinner the 15 of us headed to some local bars and clubs and spent the night dancing and drinking. I’m a two drink kind of girl, but Saturday night I may have had four or five and I totally paid for it in the morning. I can’t believe I use to party like that every weekend. I’m obviously so far removed from that kind of scene, but it was nice to let loose and have fun with our friends. Matt and I had a blast having a night out on the town. Spring time is usually when we are just two ships passing in the night, so having that time out with him was extra special for me. Everyone had a great time dancing the night away, but we are totally okay with not doing that again any time soon. At least that is what the blisters on my feet from the high heels are saying. How was your weekend? Do anything fun? You might be wondering what’s the “Read More” tag and why would you want to use it? I’m glad you clicked to find out! My friend Stephanie at Making Time for Me, nominated me for The Sunshine Blogger Award. Stephanie is my step kid’s mom and she is not only my friend, but a phenomenal blogger. She has received countless awards and deserves every one of them. If you haven’t checked out her blog yet, head on over there and say hello! 2. Answer the questions from the person who nominated you. 3. Nominate other bloggers for this award. 4. Write the same amount of questions for the bloggers you have nominated. 5. Notify the bloggers you have nominated. 1. Are you where you thought you would be at this stage in your life? I am in some ways. I have a beautiful and supportive family, loyal friends, and a job that allows me the flexibility to spend time with my family. 2. What is your favorite country to watch show up in your stats? I don’t really have a favorite country to watch, but I do like checking to see what new countries check out my blog every day. 3. What is one tip you have for bloggers? Be YOU. Don’t try to be someone you aren’t. The more genuine you are the more followers will be able to connect with you on a deeper, more understanding level. 4. How do you choose who to give awards to? I pick blogger friends or blogs that I have recently stumbled across that fit the description of what the award is for. Christmas! I love Christmas. I grew up with so many amazing family traditions that I’m thankful I have got to pass on to our kids. I grew up very religious. I was raised Mormon and went to church seven days a week. I use to have to go to “bible study” which is called seminary, every morning in high school on days we had school. My parents use to force us to go to church and there were just some things about the religion that bothered me. I’m not a fan of women not having any authority in a religion and being pushed aside. 7. What is your favorite thing to do on a Saturday morning? Saturday mornings are usually mornings to myself! Depending on the a season I will do different things. In the Spring I will usually take Ford (our dog) for a walk, in the Summer I will go to the local Farmer’s Market, Fall I will usually be watching College Football, and in the winter I will be cuddled up on the couch with coffee, catching up on shows I have taped. 8. What is your ideal breakfast? I ALWAYS get two eggs medium with well done bacon and a side of wheat toast. I will break the eggs, let the toast soak it up, put the bacon and egg on the wheat toast and eat it as a sandwich. My friends tease me because I have it down to a science now. 9. Did you go to your high school prom? Or if you haven’t had it yet, do you think you will go? I went to prom as a sophomore, junior and a senior. My senior year I went with just my girlfriends in stead of a date. 10. Do you plan, write down thoughts, ideas or stats for your blog? I have a yellow blogging journal. I write down ideas for posts and then I will write out rough drafts for each post that I write. It makes typing it up a lot easier, plus I enjoy writing. What is your zodiac sign and does it fit your personality? What blog is your favorite to read and why? What is your earliest memory and how old were you? What is the worst present you ever got? Three things you love about you and/or your life? Quick, what’s on your right? What did you start blogging? Have you ever met anybody famous? This week for the Kindness Challenge, we were focusing on observing kindness around us. Sunday night, James had a baseball game, in like 40 degree temperature. Sunday also was the day that Aunt Flow decided to have her monthly visit . Like brings you to your knees in complete tears kind of visit. Matt was at work late and James had to be at the field by 5:45. Before we left the house I asked James probably ten times if he had everything he needed for the game, by the tenth time I got the “Jessssssssssss, I got everything, I promiseeee! Can we just go now!” We pull up to the field, park, and James runs out of the car. I look at the top of his head and guess what was missing? His baseball hat. That he NEEDS to be able to play on the field during the game. I asked him where it was and his face turned from excited happy smile to the fear of death. He left it at home. Jojo (our nickname for Jordan) and I jumped in the car and rushed the 30 minutes home and back (keep in mind the intense cramps I was having). When we pulled up to the field and walked up to where Stephanie, Paul, Noah and her dad were sitting, she had this look on her face that she was about to feel bad for what she was going to tell me. She told me James hit a triple and got his team’s first run of the season…and I missed it. It took all of me not to just cry right then and there because of stupid my hormones going crazy. Jordan sat down next to me, told me she was sorry we had to miss that and gave me a kiss. Noah (Steph and Paul’s 3 year old son) came up to us, put his arm around both of us and said “Hey guys, how are you!” and it put an instant smile on my face. He entertained us during breaks between innings of the game with his kung fu moves he learned from watching Kung Fu Panda. By the end of the game he was sitting on my lap under a blanket and we watched James hit a home run! Matt showed up just before it happened too! The feeling I got watching James run all of those bases with the biggest grin on his face, was so worth the 30 minute drive. We got home from the freezing cold game and everyone chowed down on Taco Bell before the kids headed to bed. After they had their PJs on, the kids said they were going to pack their lunches for me so I could lay on the couch with my heating pad and relax. Um, thanks for the instant tears kiddos. What amazing little people we are raising. Seeing the kindness they give out so freely makes you feel very proud as a parent. Not to mention, it made me totally forget about James forgetting his baseball hat. The rest of my week was pretty disappointing and trust me when I say I really looked for kindness everywhere around me. Even dropping the kids off at school was out of control. Parents were selfishly weaving in and out of cars in the school parking lot and disregarding rules that are in place to protect the children in the drop off lane. We also have a lot of construction going on in our Metro Detroit area. Major highways closed or shut down so the state can fix our crappy roads and we can all stop blowing our tires over pot holes that are deeper than Jordan is tall. Of course no one shows kindness in gridlock traffic during rush hour. No matter how many people I “let it” to get over after passing 30 other cars in a closed lane. I volunteer in Jordan’s class room every week. What a perfect time to observe kindness! Within minutes of being in the classroom, one kid threw a hard covered book at another kid’s face and one little boy bitched out this little girl for using a pen on HER paper instead of a pencil which then caused the little girl to have a complete melt down. Well, looking for kindness here doesn’t look very promising today. I’m feeling discouraged. Why is it so hard to observe kindness around me this week? Am I just blocking out the kindness around and me and only seeing the negative? Am I being a negative nancy this week or has the world turned into a place where finding kindness every day is actually really that difficult?